I have really been struggling to keep on top of things recently, and I have so much to share, but just not enough time! I will try and get back into my schedule of posting three times a week soon, or twice a week at the very least. 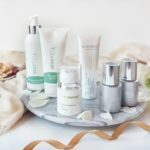 Today I will be sharing my July First Impressions, quick reviews of the products I have been using recently. You may have noticed a few posts recently where I pulled together all of the minis I have from a brand for a review. 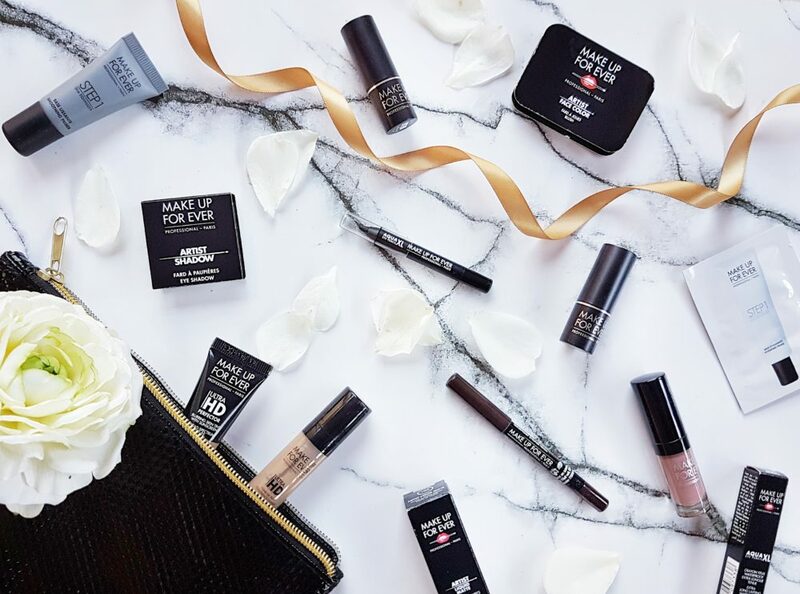 I have collected quite a few products from Make Up For Ever and thought it would be a good idea to do the same. I will have a full review with swatches up soon, but for now, I love the formula and shades of the lipsticks M401 and C211. I am still in two minds about the Artist Liquid Matte Lipstick in 105. The eyeshadow I-544 is stunning, easy to apply and wear. I thought the blush B302 was going to be too light for me, but it is actually really pretty. 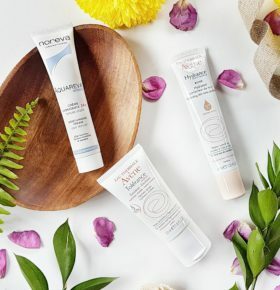 The primers are good, especially the hydrating one. I love the Aqua XL liner in M-10 it is so long lasting, but the Aqua Eyes 25L isn’t great. The foundations in 08 and Y415 are both a bit too dark for my skin tone, but not too bad. Neither of them offer much coverage though. 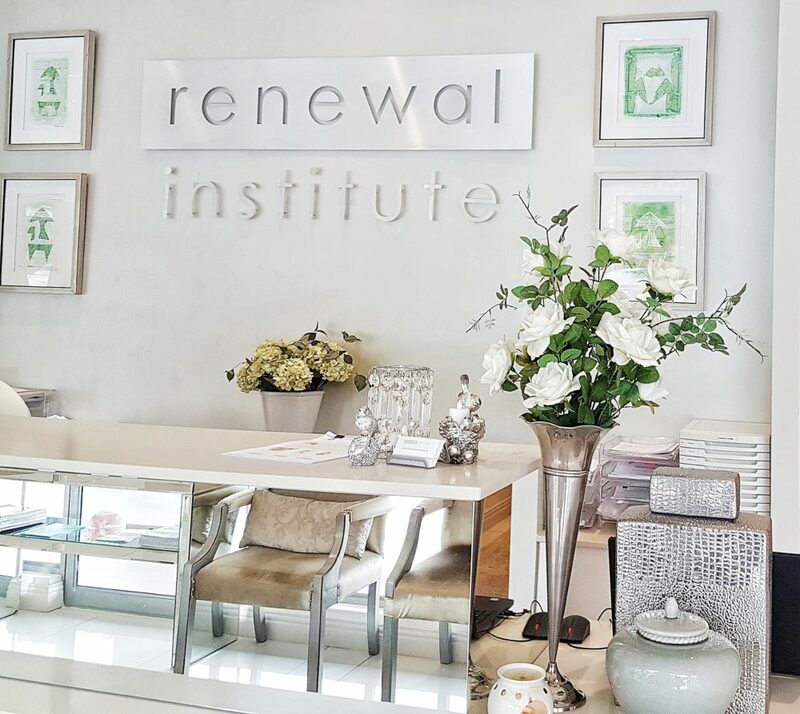 My fifth treatment at Skin Renewal Bedfordview was the one I was most excited for, as well as the most nervous for… The *Doctors Pen, which goes up to 2.5mm. You can read about my previous treatments here and here. After numbing for an hour the treatment started, and it was quite uncomfortable. I kept on thinking the results will be worth it, the results will be worth it. The difference between the doctors pen and therapists pen, aside from the depth, is the number of passes, as well as the areas treated, who knew my eyelids needed to be penned! After the pen, I had the usual Laser Genesis, and off I went home. I will have a full review with all of the details after I have my next Doctors Pen at the end of the month. The Body Shop Vitamin C Glow Revealing Liquid Peel definitely leaves my skin feeling softer and smoother, and looking brighter without being drying or abrasive. It does leave a weird tacky sticky feeling on my skin though, so I do use a cotton pad soaked in some toner to remove it fully. There isn’t much of a difference in my opinion between the three liquid peels offered by The Body Shop, so if you have one, I think it is good enough, and I do recommend getting at least one. 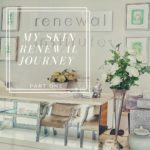 I have also reviewed the Drops of Light Peel here. Have you ever tried a mask in a can? Me neither, until the *SVR Hydracid C50 Masque Eclat! Essentially this is a high dose of vitamin c in a can, which helps the active ingredients remain stable and effective. I apply this mousse to my skin in the evening, remove the excess with a cloth before I go to bed, and wake up to brighter, healthier skin. I am still in two minds about The Ordinary Vitamin C Suspension 23% + HA Spheres 2%, which I have been using as a serum. It feels rough on the skin and takes a while to absorb, although it does give my skin a little tingle which I love! I have heard great reviews about this, so I will keep using it and see the results. 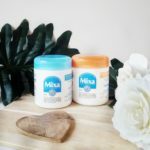 I love DIY beauty, so when I read that I had to mix the *Filorga C-Recover before use, I was excited! The little white cap houses pure vitamin c powder (8%) and you need to press down to release the powder into the serum and then mix well. 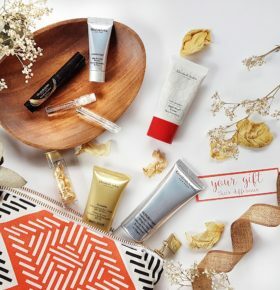 The set comes with three ampoules, each lasting no longer than seven days. After 21 days you can expect your skin to look brighter, revived and healthier. Although this has a strong vitamin c scent, it isn’t unpleasant. This is an excellent Vitamin C Serum for the price! Lastly, the *Elizabeth Arden Skin Illuminating Brightening Hydragel Cream that feels so soft and silky on the skin. 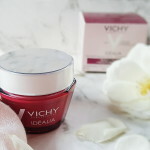 It is hydrating but still feels light and airy and keeps my skin looking and feeling plump all day. This will be a perfect Summer moisturiser since it is oil-free, feels like a gel, but hydrates dry skin thanks to hyaluronic acid. It also includes vitamin c to protect and brighten the skin! 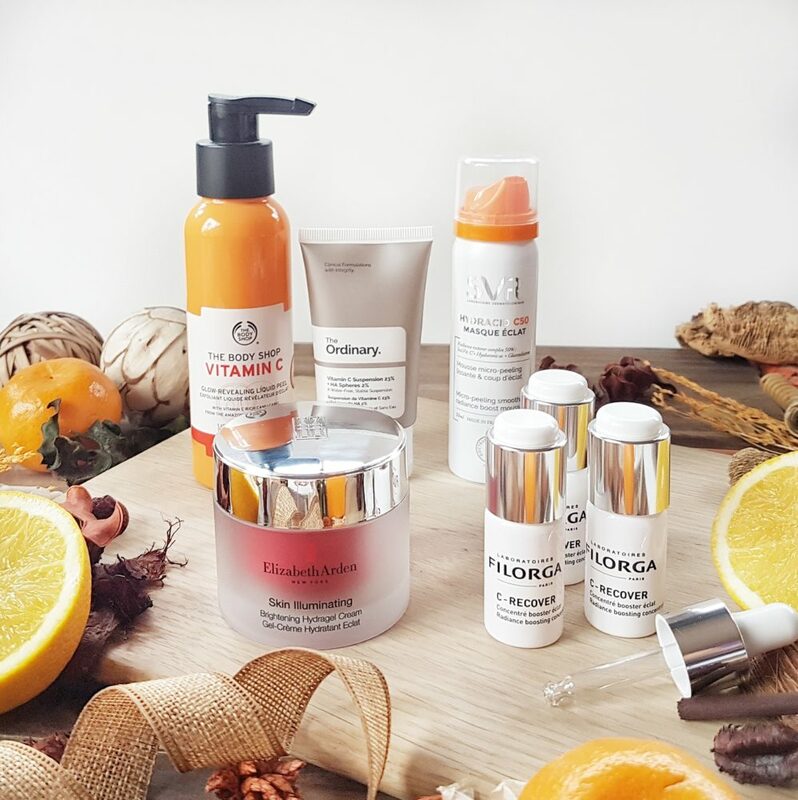 As you may have noticed, I have started incorporating quite a few skincare products containing Vitamin C into my routine. So, when the *dermalogica biolumin-c serum arrived a few weeks ago I couldn’t wait to add it in too. This is a lovely vitamin c starter serum, it is non-irritating with its milky texture and helps to protect the skin from environmental aggressors while brightening and firming. I sometimes find that the morning after I use a high percentage retinol or acid treatment my skin is too sensitive to use a vitamin c product, but not with this one luckily, since the morning after a good acid or retinol application is great for applying vitamin c, while the skin is fresh and exfoliated and also to improve the sun protection of your spf. 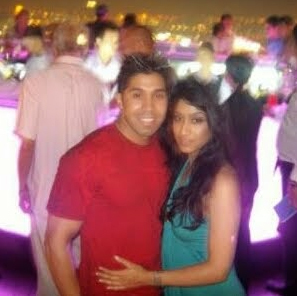 Speaking of spf, I am so good with it, and whether I am indoors or out I apply an spf 50 minimum. 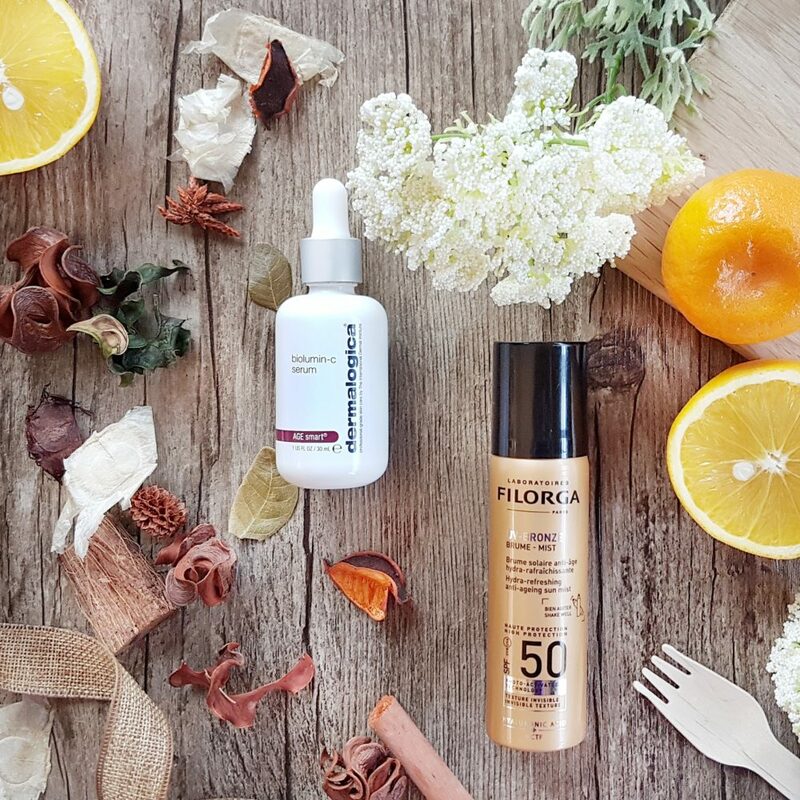 But when I am out, or wearing makeup and want to reapply spf without messing up my makeup I have been reaching for the *Filorga UV Bronze Mist SPF 50. It is an aerosol and has such a fine mist that on two occasions I sprayed too much! 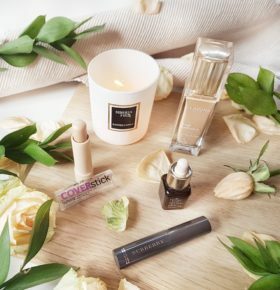 It gives skin a lovely bronze glow, hydrates and best of all smells absolutely heavenly! 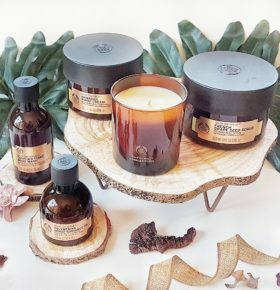 I love the scents of the products in the Spa Of The World Collection from The Body Shop. 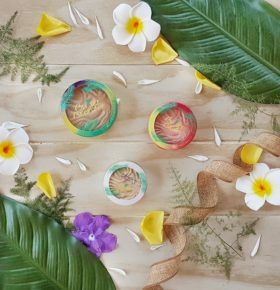 The Tahitian Tiare Body Wash is absolutely heavenly, floral and lovely, and best of all non-drying, and I cannot get enough! The Polynesian Monoi Radiance Oil is light and not greasy and also smells amazing! I love the scent of the Hawaiian Kukui Cream, and it is nourishing and hydrating without being too rich and greasy. Unfortunately the Scented Candle is terrible, the scent is lovely, but it burns so so terribly! Lastly, the *French Grape Seed Scrub is so nice and scrubby and does an excellent job at getting rid of dry skin, even on the roughest parts. I will have a full review up soon. 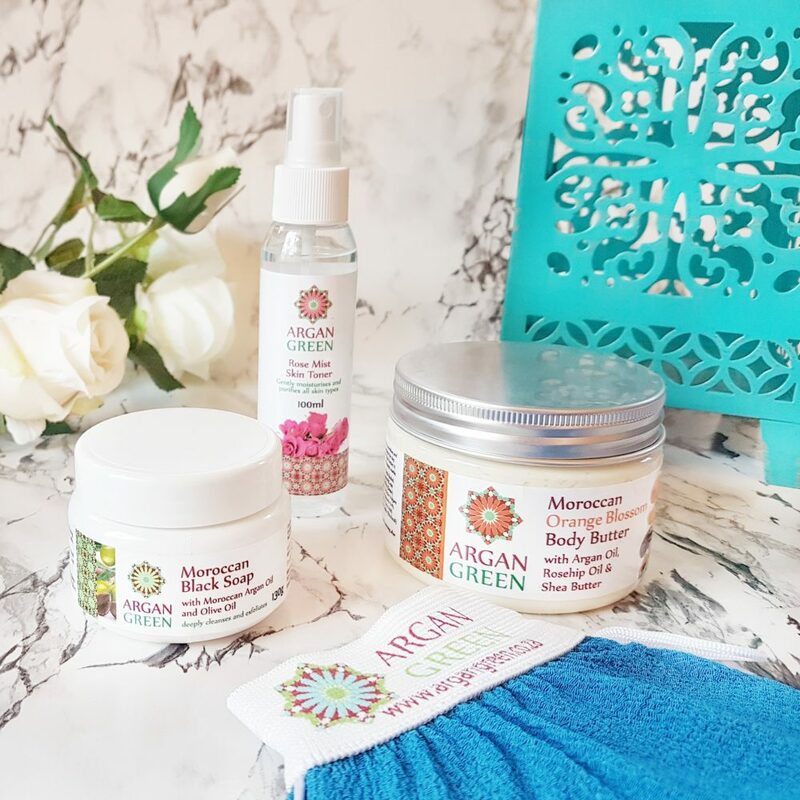 I received a few products from *Argan Green a while back, and having never tried Moroccan Black Soap I was quite excited! I didn’t really know how to use Moroccan Black Soap, and how it would react on my face, but all went well! I used it on my body and face, and my skin was left cleansed, smooth, bright and exfoliated without a scrub or abrasion or feeling dry, it is actually quite amazing! On my body I also used the Exfoliating Kessa Glove with it for an extra bit of exfoliation. The Orange Blossom Body Butter is quite thick and takes a while to absorb, but it is the perfect winter hydrator for dry skin. Lastly I was sent the Rose Mist Skin Toner, I have been a fan of rose water for a while, and I loved misting this onto my skin after cleansing and before moisturiser! It is soothing and hydrating, and everything I expect from Rose Water. I will have a full review up soon. I went for a Milk Solutions and Jessica Polish treatment a while ago, and if you remember, I was really impressed by the longevity of the polish. So, when the *Jessica Phenom Fall 2018 Collection landed at my door I was happy to put it to the test. 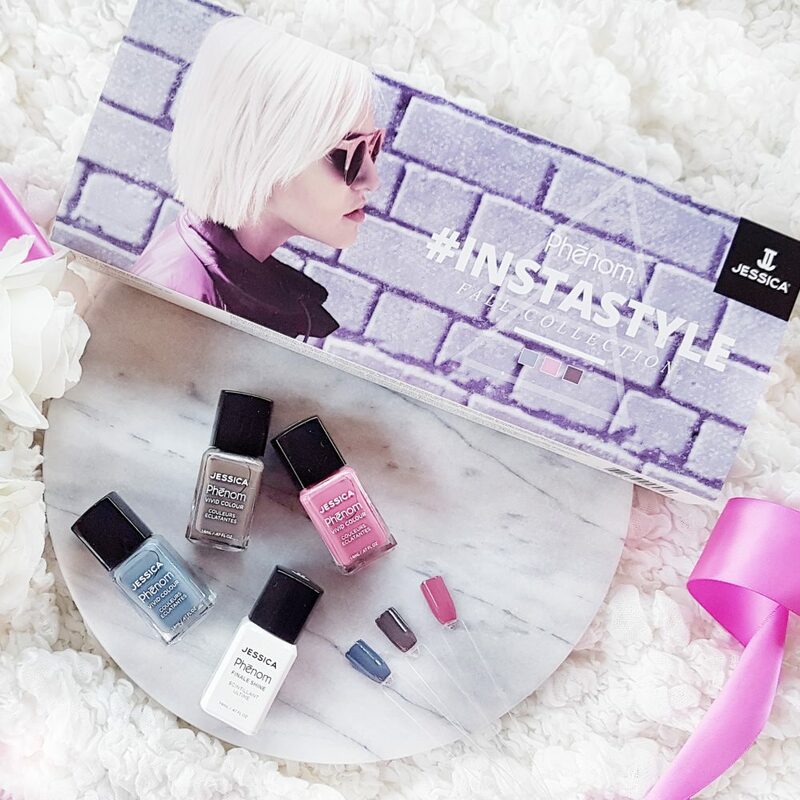 I received three shades, and the top coat from the #INSTASTYLE Collection, #STREETWEAR- a dark blue-grey creme, #LOVETHISLOOK- a brown creme and #OUTFITOFTHEDAY- a dusty rose creme. I am obsessed! I painted my nails an hour before bed, and I did not wake up with any sheet marks! These dry so quickly, and last for about eight days, which is amazing for an at-home polish. I featured #OUTFITOFTHEDAY in my July Favourites, as well as how my nails looked after eight days. I will have a full review of these, as well as a giveaway up soon. The Morgan Taylor Spring 2018 Collection is as pretty as can be. 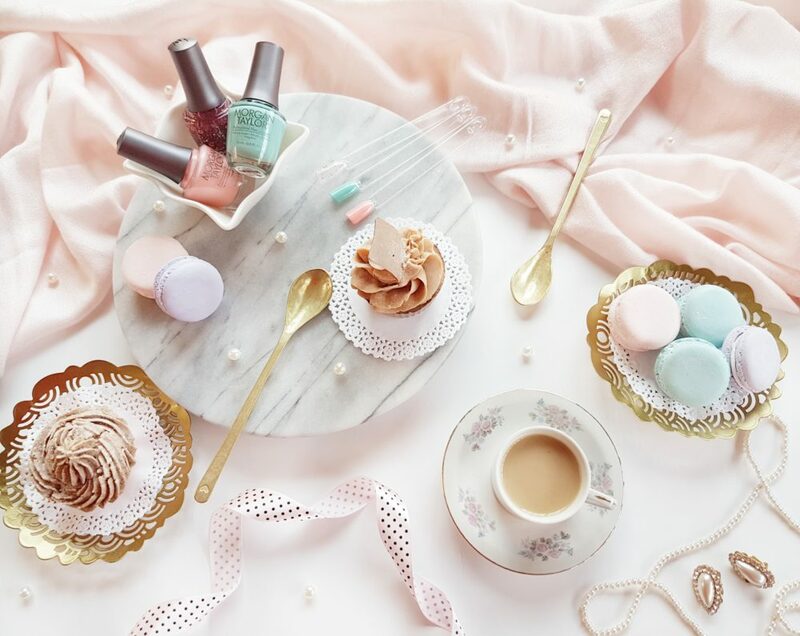 Inspired by the lavish life of Marie Antoinette, *Royal Temptations features six pretty pastel shades, and a glitter top coat to add an extra bit of flair. 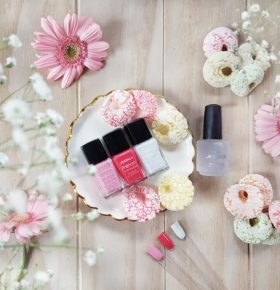 I received Ruffle Those Feathers- a teal creme, Beauty Marks The Spot- a coral creme, and the pink tinted top coat Over-the-Top-Pop. 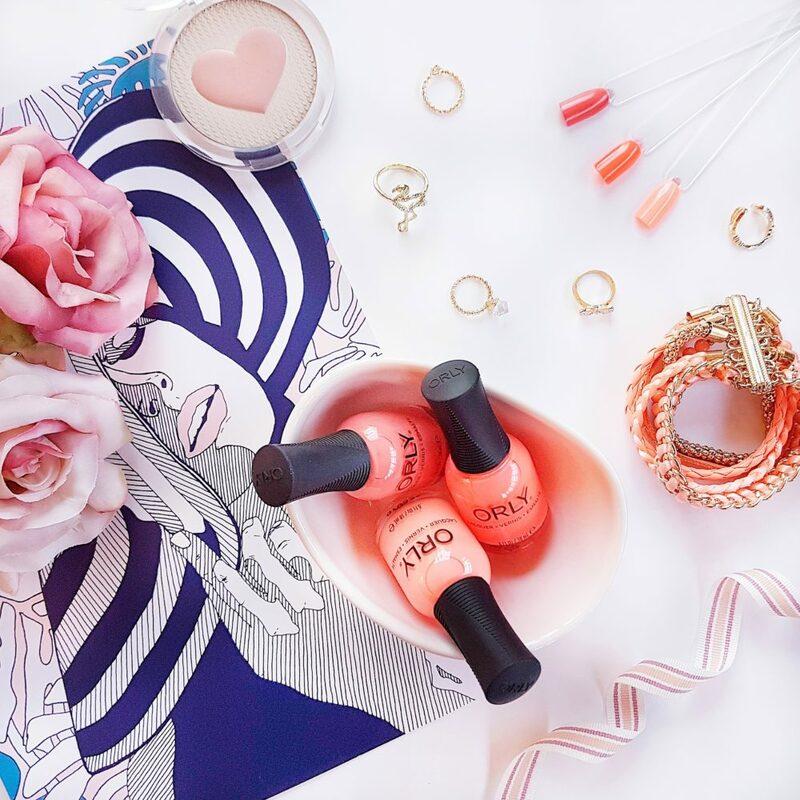 My favourite shade is the coral creme, but both shades apply evenly and are fully opaque in two coats! The top coat needs a bit of fishing, but you will find every kind of glitter confetti from hearts to stars to lighting bolts! All shades are also available in Gelish. I will have a full review with swatches up soon. I have already reviewed the stunning Orly Summer 2018 Collection over here. Thanks for reading ladies, what would you like a review of first? Body shop is amazing! They do some lovely smelling lotions! 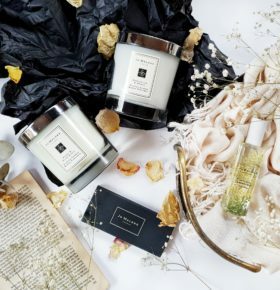 I’m so glad to see they are doing candles! 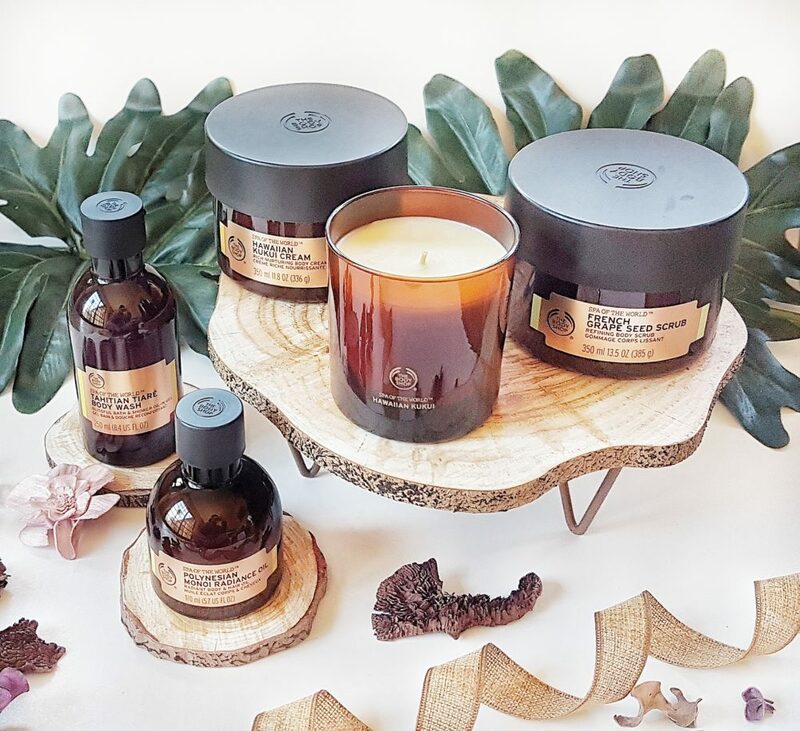 What a month – I love the Body Shop at the moment, getting back into their products big time! The Ordinary Vitamin C product is amazing! I love it so much! 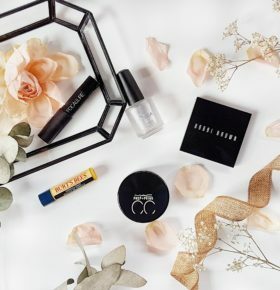 I am going to have to try some new Makeup Forever goodies soon, it has been such a long time since I tried anything new! Ah, I am is we had Makeup Forever here. I so love your First Impressions posts – these all look and sound great!